The Vinyl ‘3’ Stack and Vinyl ‘1’ Stack record label protectors are sized as small as they can be to cover the smaller labels of 7 inch 45 RPM records and still cover the larger labels of 33 1/3 LP’s as well. Most of the time this is adequate, however you may find some 45’s with longer songs that may not leave much space between the end of the sound grooves and the plastic disc. 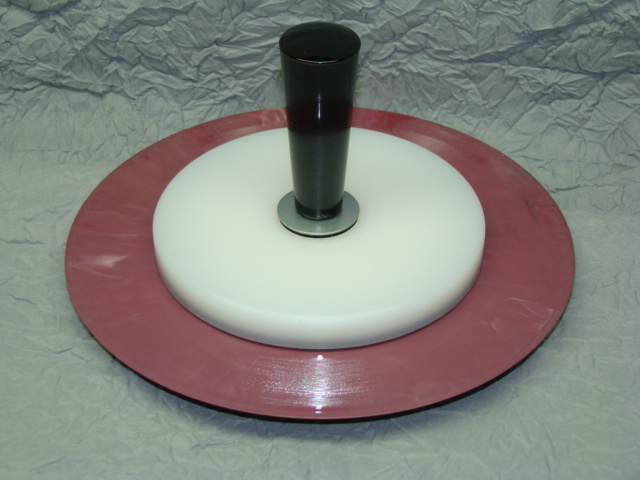 If you have a lot of 45’s to clean, we also offer a narrower stack designed to fit only 45’s leaving a little more space on the dead wax.